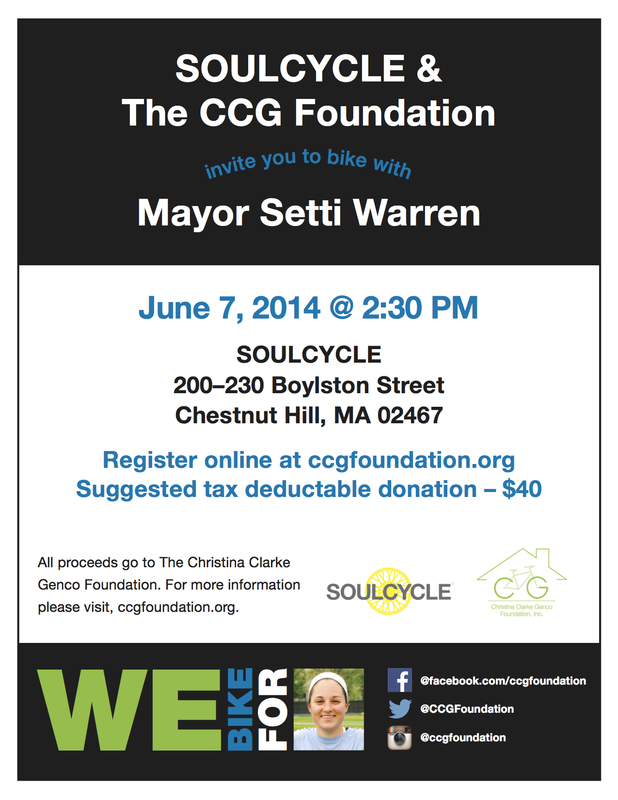 Our SoulCycle benefit class has been moved to June 7th at 2:30PM! All tickets purchased from the original May 3rd date will be honored. If you cannot attend the new date we will gladly issue a refund. Please contact us (ccgfoundation@gmail.com) with any questions or concerns. If you’re still itching to bike, sign up to ride one of our four routes on Mothers Day May 11th in the mean time!